Remember the days when you raced to the Disney Store to pick up the latest VHS release and an exclusive litho? If you’re like us, you have dozens of those lithographs in boxes and a huge pile of VHS tapes tucked in a corner somewhere. The Mouse House could make money hand over whisker those days, sometimes just by not releasing a film and putting it the vault for 5 to 7 years. Then came DVDs and things got crazy. Disney turned to classic editions, platinum editions, diamond editions, each slightly different than the previous edition and all of them finding their way to the shelves of Disney fans. Out of that glorious money tree, came DisneyToon Studios. What started off as a way to get Disney Television Animation’s “The Return of Jafar” into the home video market became a bounty of VHS tapes, and later DVDs. Eventually DisneyToon Studios an animated theatrical film producer in its own right. It was as much a move to combat the public’s unwillingness to buy another copy of a VHS tape or DVD when they knew a new format was just around the corner (Blu-Ray, Digital, or on-demand) as it was an artistic move. Still as DisneyToon Studios matured, quality improved and audiences were thrilled to see Tinkerbell and her adventure on the big screen. 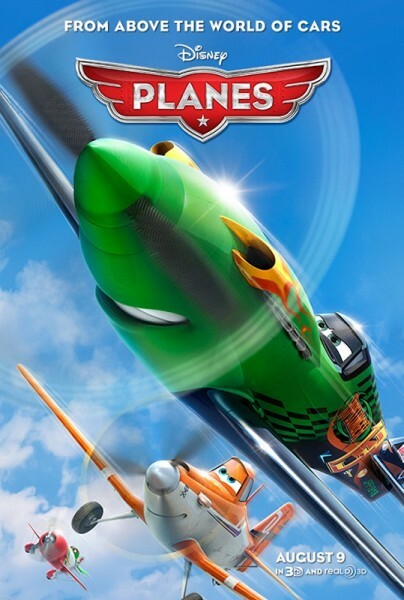 Disney even almost managed to make Planes a bonifide franchise. But not quite as the latest attempt hasn’t had half the success of the first Planes film. And face it, even the most ardent Disney fans will eventually tire of seeing Tinkerbell and her fairy friends everywhere. And so, what is to become of DisneyToon Studios? Well it will probably fade away, at least for a while. 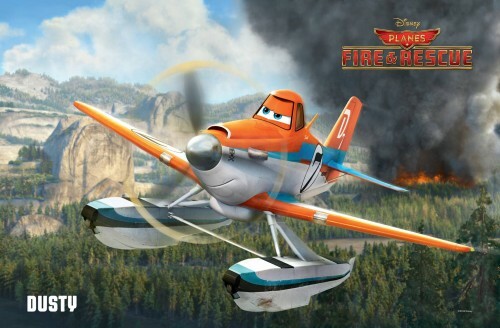 I was recently able to take in a preview viewing of this summer’s new animated feature from DisneyToon Studios “Planes: Fire & Rescue.” I enjoyed the first “Planes” movie and expected a very similar movie in the sequel. Turns out that Planes 2 soars above the original with not just new characters, but a whole new development arc for Dusty Crophopper. The original movie was always intended just to introduce the audience to the idea that Planes exist in the world of Pixar’s Cars. It was successful and now Disney’s storytellers can explore that world with a new series of films. If this is an example of the quality of films to come, I’m definitely ready for more. 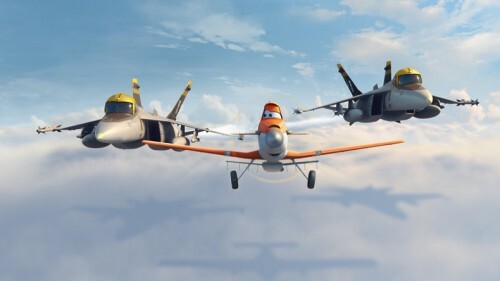 Disney’s Planes, set in the world of Pixar’s cars, started as Direct to Home Video project from DisneyToon Studios with most of the animation work done out of India via Prana Studios. At some point in the process the powers that be decided that the home video market wasn’t strong enough to support more releases and that the movie would need to be upgraded to a theatrical release. There isn’t one clearly identifiable moment but the shift in intensity is obvious between the start and end of the movie. How can you tell? The world building got richer, the main character got a new voice with more of a spine, featured characters became multidimensional, supporting characters either fade into the background or gain more importance to the plot. It definitely makes for a stronger film, even if it has a bit of a multiple personality disorder. I missed this a few days ago, but Disney has released a teaser trailer for the direct to home video Planes. 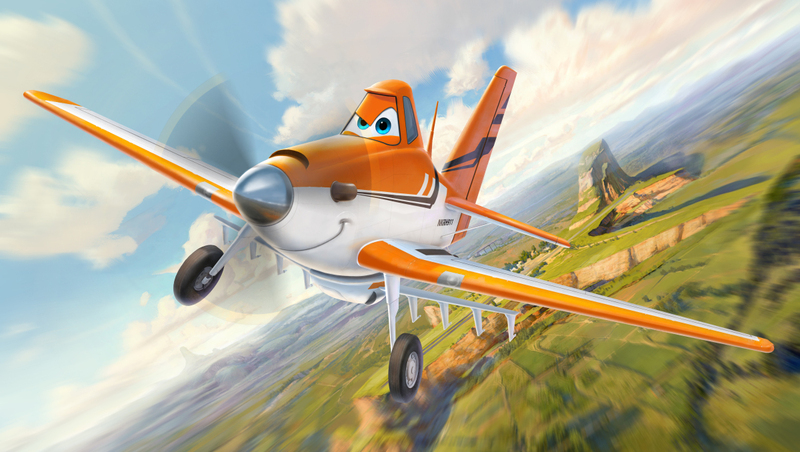 Set in the world of Pixar’s Cars, Planes explores the world above those movie’s more earth bound characters.